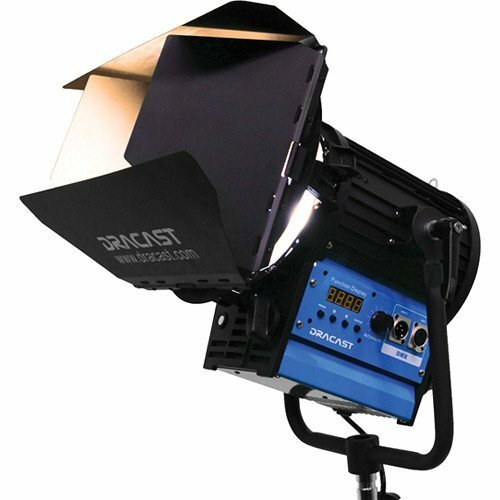 The Fresnel Studio LED1000 Tungsten LED Light from Dracast is packed with the latest LED technology backed with solid construction and intuitive design. 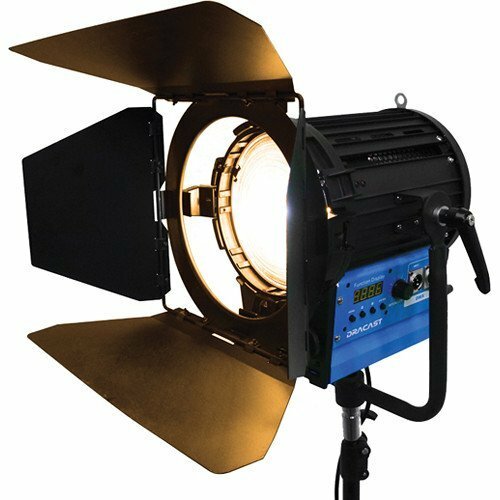 The tungsten-balanced light has a Kelvin temperature of 3200K for work indoors or to match other standard traditional light sources. 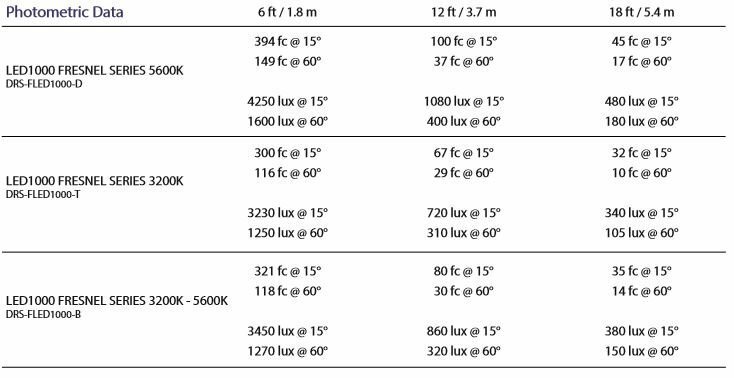 Light intensity is variable from 0-100% locally on the unit or remotely via DMX. 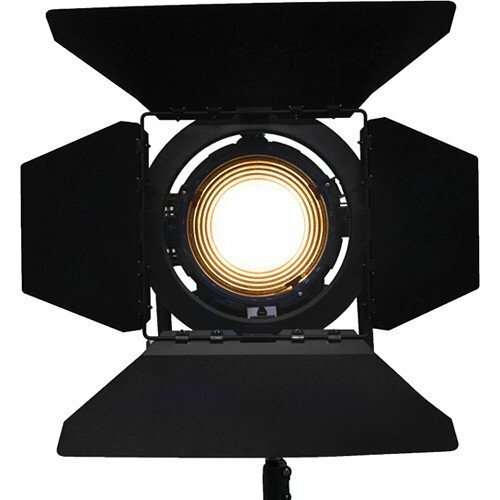 Box Dimensions (LxWxH): 18.2 x 16.3 x 14.7"